Today's late breakfast at home is rather special for me. 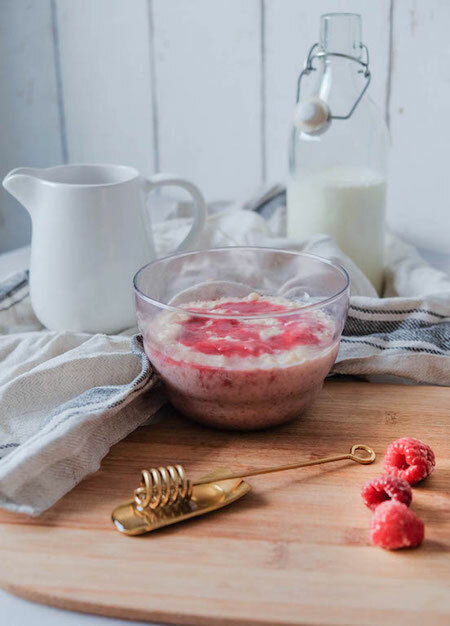 Traditional scottish porridge is easy to prepare and reminds me of my childhood where my granny used to make it quite often 'cause its inexpensiveness. Slovak and Scottish cuisine are similar when it comes to different kinds of hearty, heavy food . I prepared today's porridge with a french fruity twist. Heat up the milk in a saucepan. Keep stirring to prevent the milk to burn. Wait until the milk starts to boil. At this point, slowly put the oats into the milk and keep stirring. Add the butter, pinch of salt and honey. Keep stirring. After the oats start to thicken, stir for another 5-10 minutes until you get the typical porridge texture. In another saucepan prepare your coulis by combining the frozen raspberries with splash of water and sugar. Let raspberries to boil. Stir continuously. After the sauce thickened up, let to boil for another 1 minute. Switch of the cooker. With a hand blender make a puree. Pour puree through a fine mesh strainer set over a bowl. Stir and push on the solids with the wooden spoon until all of the liquid has been extracted. Pour into a nice sauce boat. 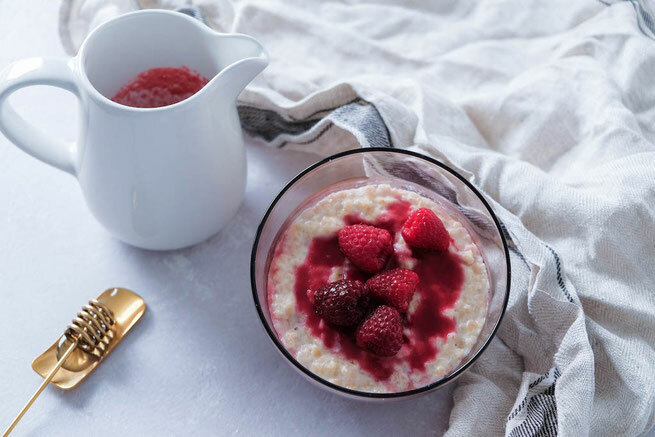 Serve the porridge in a soup bowl and drizzle some of the raspberry coulis (- optional with honey too) over the top.